Donald White began his career in the scale industry three years ago after graduating from Albany Tech with certifications in Industrial Maintenance, Commercial and Residential Wiring, Conduit Bending, and PLC programming. Other training also includes HVAC. Upon graduating school, he worked with ADM as a Maintenance Supervisor before starting a position with an independent scale company. During the past three years, he has enjoyed the interaction with customers and the opportunity to build his client base. He has worked on all types of scales including truck scales, floor scales, bench scales, livestock scales, lab balances and all mechanical scales. He also works with metal detection devices in food processing plants to check for foreign objects before packaging of product. 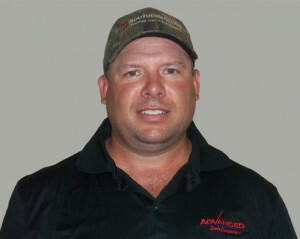 When not at work, he enjoys going to his children’s sporting events, golfing, hunting and fishing. He has been married for fifteen years and has 3 great children.